In this blog post, I cover the all new Breakfast Menu at SodaBottleOpenerWala by the Olive group, your quintessential Bombay Irani café and bar in DLF Cyber Hub, Gurugram. Known for being colorful, quirky, cluttered, noisy, eccentric, and much more, an Irani cafe today is considered a dying legacy. 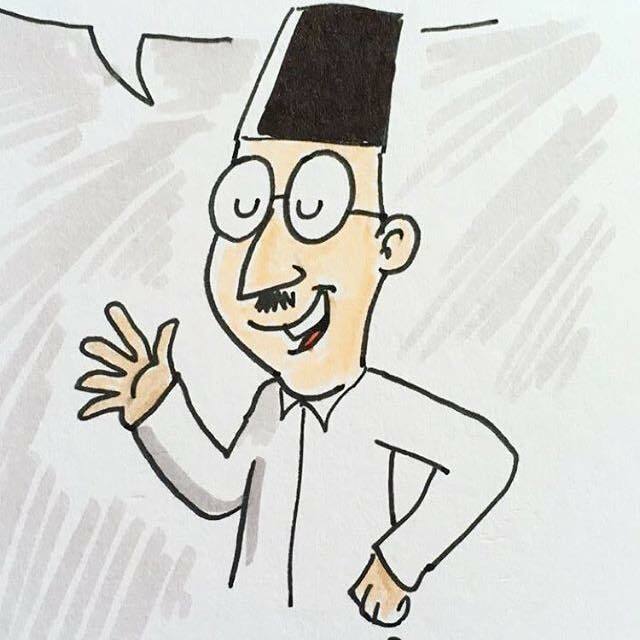 In fact, the same could be said about the Parsi cuisine! Even with all its idiosyncrasies in place, an Irani café still reminds me of the wonderful Parsi food that once sparkled on the streets of Bombay and old-world clubs. Thanks to SodaBottleOpenerWala, food connoisseurs like me can now get a firsthand experience of an Irani café, without having to visit Mumbai! 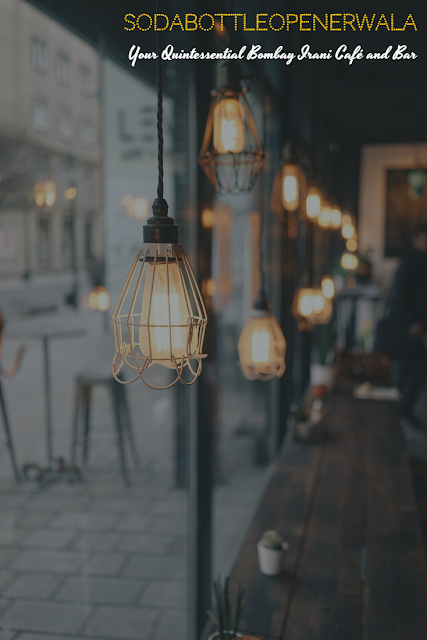 For the uninitiated, SodaBottleOpenerWala has eight outlets in all, spanning across four different Indian cities (Mumbai, Delhi, Bengaluru, and Hyderabad). The brainchild of popular restaurateur AD Singh, SodaBottleOpenerWala can be best described as 'Parsi-style Freddie Mercury' meets 'Monty Python'. The eccentricity and mirth of SodaBottleOpenerWala evoke spontaneous laughter; case in point is the signature large blackboard, where the rules of the establishment are laugh-out-loud funny ... 'No Laughing Loudly,' 'No Talking to Cashier,' 'No feet on chair,' 'No flirting,' and 'No Pata Hai Main Kaun Hoon.' This seems to be is a regular feature in all the SodaBottleOpenerWala properties. In many ways, the experience of eating out at SodaBottleOpenerWala remains unparalleled; take the uncanny design elements for instance. Steeped in history and legend, the colonial design of SodaBottleOpenerWala is anything but modern, yet you don't complain 'coz the Bombay street food is so effing good! On my last visit to SodaBottleOpenerWala, I ordered a few Irani specialties like Patrani Machi, Seekh Paratha, Eggs Kejriwal, Pheteli Coffee etc. 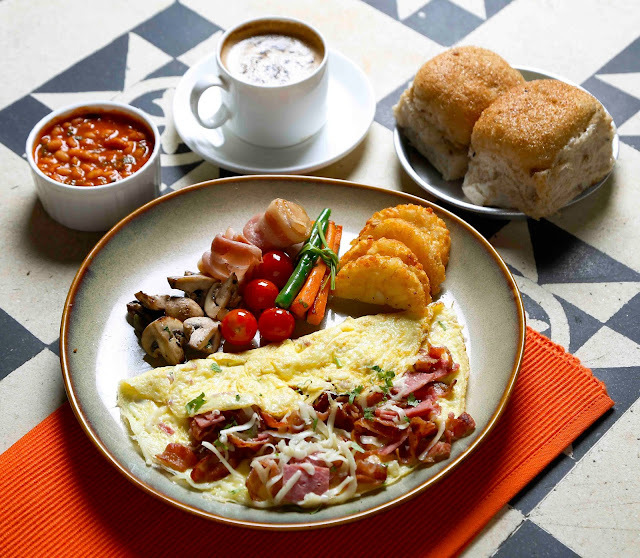 from the all-new breakfast menu called the Big Bawa Breakfast. 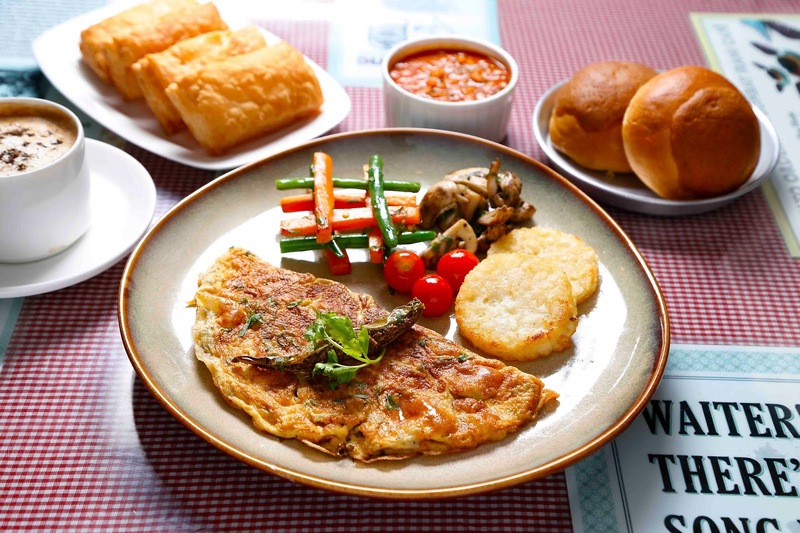 You can also enjoy a lavish spread of Ragi and Oats pancakes, Parsi flat omelets (a.k.a. Poros), fresh fruit smoothies, sandwiches, and breakfast cakes between 8.30 A.M. to 12 noon*. 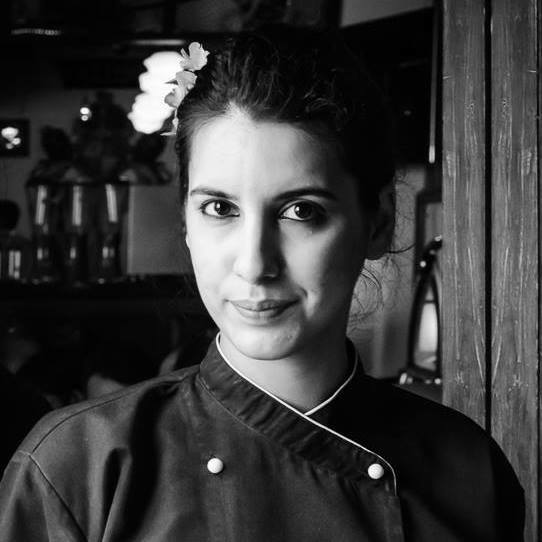 The kitchen is in the capable hands of Chef Anahita N. Dhondy, who is an expert at French pastries and cuisine but from the heart, she cooks Parsi food at SodaBottleOpenerWala. 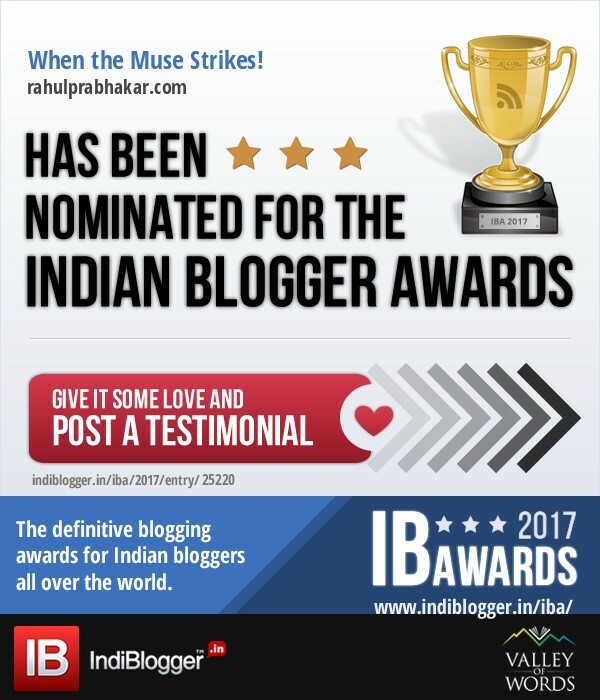 Here are my top recommendations at SodaBottleOpenerWala. The all-week breakfast menu includes a host of Mumbai and Irani favorites for a hearty morning spread. Start with a Bun Maska or Bun Jam for your carb fix, followed by Ragi and Oats pancakes in four different toppings such as Mixed Berries, Yoghurt Cream and Mint, Caramelised Banana and Butterscotch, Coconut and Organic Jaggery, or Espresso and Whiskey Cream. A breakfast menu is incomplete without eggs; choose from an envious line-up of Poros (a.k.a. 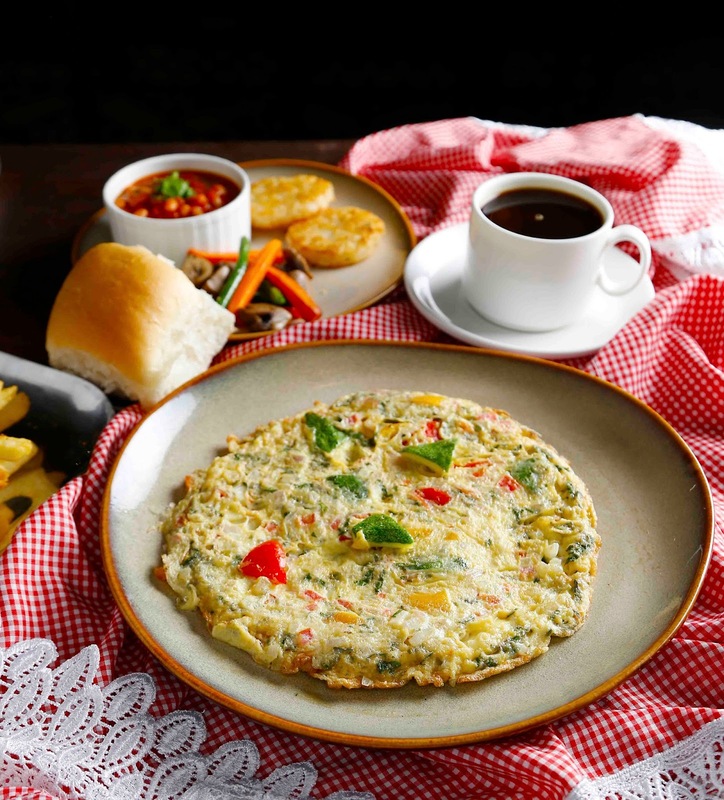 Parsi Flat Omelettes) such as Angry, Herby, Smoky, Meaty, Poro in Goa, and 100% Vegetarian Poro (inspired by the Veg Tomato Omelette from Bombay). 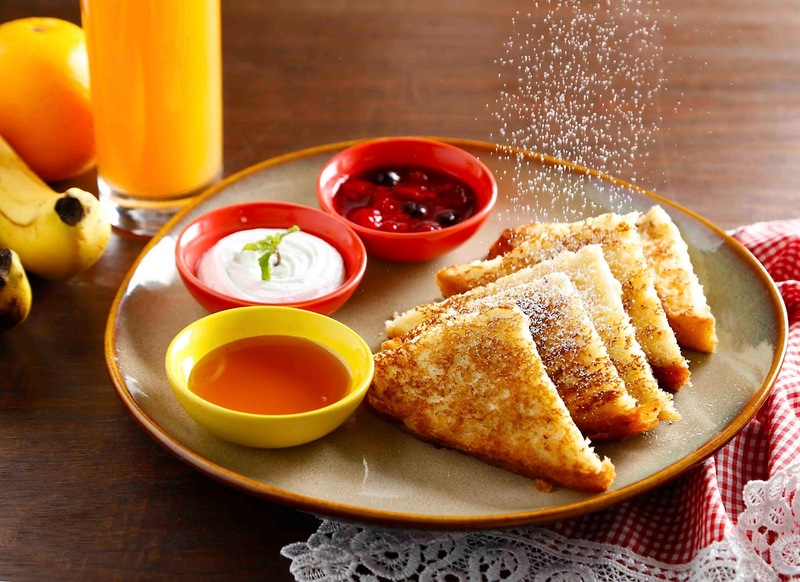 You could also go for a Classic Parsi Breakfast option such as Navsari-style French Toast spiced with wedding pickle, cream, raisin, and plum compote. The Classic Akuri with Thick Buttered Toast is a must have for the proverbial Parsi Dikras and Dikris. Spicy hot scrambled eggs served with Maska Pav. Then there is the Irani Wrestler's Omelette made using four eggs, served in two variants - Chicken Keema & Mushroom and Mixed Veggies and Mushroom. Pick from a sumptuous selection of Parsi sandwiches - Rasta Sandwich, Boiled Egg Sandwich, and Chicken Bhuna Sandwich ... plus specials like Masala Fries, Chili Cheese Pav, Kheema Pav, Ghotala Pav, Grilled Sausages (Chicken/Pork), and Crumbed Sausages (Chicken/Pork). Ticked off the menu are the Nitro Cold Brews like the Signature Nitro Brew, Star Anise & Mandarin Nitro Brew, Lime & Cinnamon Nitro Brew, and Hazelnut Nitro Brew. This is due to the Haryana government ban on the use of liquid nitrogen in drinks and food. Hot Coffees, like my all-time SBOW favorite Pheteli Coffee, are an absolute delight. You could even go with the comforting Cappuccino or Espresso. Tea lovers are spoiled rotten for choices; the menu offers Irani Chai, Parsi Choy (Lemongrass and Mint), Earl Grey, Darjeeling, and Masala Chai. Make sure to try the fabulous fresh juices such as the Bawi's Detox (Raspberry, Orange juice, and Parsley), Summer Masala Lemonade, and Five Berry Sober Sangria. 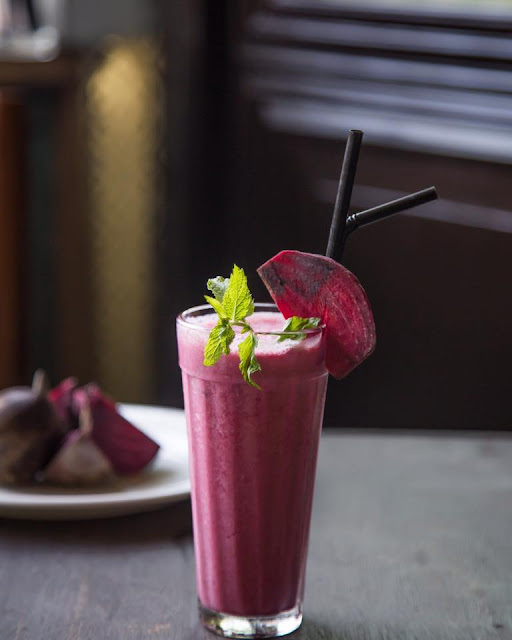 You'll absolutely love the taste and flavors of fresh fruit smoothies like the Raspberry & Beetroot, Watermelon & Ginger, and Mixed Berry & Flaxseed. End your breakfast date on a sweet note with popular Mawa Cake (Regular/Multigrain), Chocolate Walnut Banana Cake, Lagan nu Custer, or Matunga Coffee Cake. Other breakfast cakes are also available like the Wheatgrass & Citrus, Double Chocolate Chip, Multigrain Organic Honey, Semolia, and Coconut & Raisin. 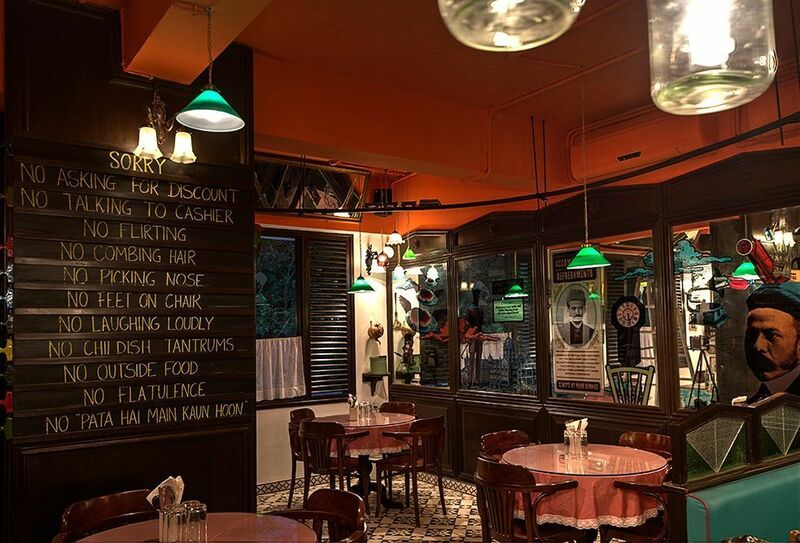 For decades, the Bombay Irani Cafés have flourished by serving sumptuous morning delicacies and SodaBottleOpenerWala intends to bring alive the same culture. [Address: Cyber Hub, Shop No 3, DLF Cyber City, Phase II, Next to building no. 8, Gurugram, Haryana.